Class Eu 0-10-0 680-96, Great Patriotic War Museum, Moscow, 29 August 2015 1. Superheated version of the class E 0-10-0 introduced in 1912. Some 2,200 Eu were bult 1926 - 1932, when they were succeeded by other variants. Almost 12,000 class E locos of all types had been built when production finished in 1957. 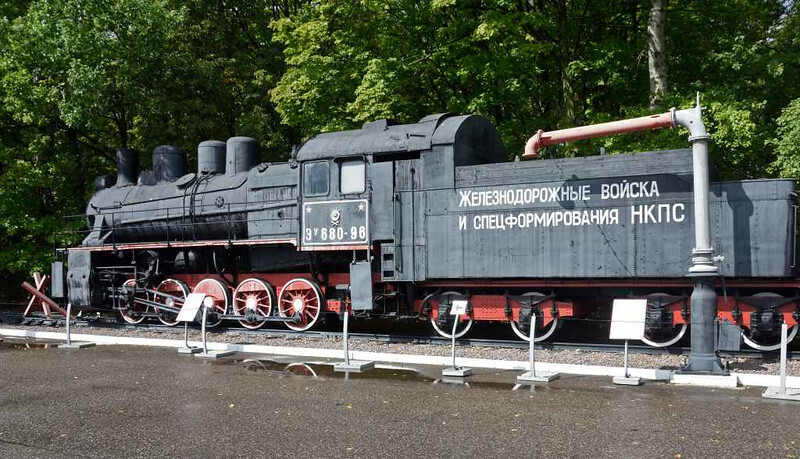 The water column has come from Vyazma station, where it was destroyed in 1941 and later rebuilt.